Here at Arizona Smile Designers, our main goal is to help our patients smile confidently once again. We do this through a variety of treatments, from general to cosmetic dentistry. Whether you’re experiencing pain related to your mouth or are simply unhappy with the appearance of your teeth, we can help find a solution to your problem and bring your beautiful smile back. One common and effective option we supply many of our patients is veneers. A veneer is a thin porcelain covering our Cottonwood veneers orthodontist uses to cover the outside of an existing tooth. The veneer itself is extremely thin and has the same essential look and feel as the natural enamel of the teeth without the tendency to stain. Technology has advanced far enough that we can make the porcelain thin enough to bond directly onto the tooth. In some cases, a small amount of enamel may need to be removed in order to naturally fit the veneer. Alignment or Spacing: Small gaps in the teeth or slight misalignment can easily be corrected with veneers. Shape or Size: There are many habits that can cause teeth to wear down and become irregular in shape or size. Veneers can make teeth appear rounder or squarer and sized to best complement your facial features. Color: Teeth become discolored over time from eating, drinking, smoking, and even aging. Veneers do not stain the same way natural teeth do, and they come in many different shades for a natural look. Are Veneers Always the Answer? Veneers are a great solution to restore the look of the teeth in many situations. However, significant misalignment, large gaps, extreme tooth decay, or serious dental trauma may require other measures to restore full, natural dental function. Our doctors will consult with you to determine if veneers are the right option for you. If not, we will find another effective solution to meet your needs. Our office takes extra care with every procedure. 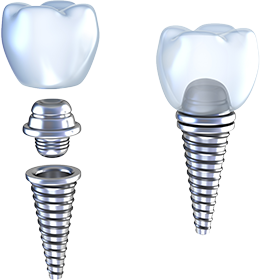 Our process begins with a consultation to determine how you want to change your current smile. Bring in pictures of smiles you ike to give us an idea of what you desire your outcome to be. We will discuss different options and can even show you how your veneers are likely to look by using a model or placing tooth-colored filling on your teeth. With a plan in place, we will then make molds of your teeth. If any enamel needs to be removed, we will take care of that before making the molds. We then send the molds to a dental lab to create your custom veneers. We’ll place temporary veneers on your teeth in the meantime. After a few weeks, the veneers will arrive and, once we’ve confirmed they are what you want, we will cement them to your teeth. New veneers can be cared for just like natural teeth. They need gentle flossing and brushing every day, as well as regular dental checkups. It is important not to use your teeth as tools for opening packages or biting extremely hard foods, especially with veneers on. We also may recommend a custom mouthguard if you grind or clench your teeth while sleeping. At Arizona Smile Designers, we want all of our patients to feel comfortable and confident with their smiles. You can schedule a consultation with our dentists to determine if you are a good candidate for veneers. Contact us today by calling (928) 634-8610. You can also request an appointment by filling out our online form.